Barcode labels may seem rather insignificant and to a graphic designer rather dull. However barcode labels play an incredibly important role in identifying and sorting products and produce. 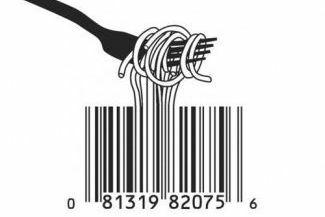 Wholesalers and retailers rely heavily on barcode labels and expect them to be correct. These barcodes are received from the Global Standards Organisation or GS1. It is therefore vital to manufacture barcode labels correctly and which adhere to GS1 standards. These are immediately recognisable 1D barcodes used in retail all over the world. These are compact 1D barcodes that can hold further product attributes such as the weight of fresh produce. These are adaptable 1D barcodes used to represent ID keys and attributes in a distribution setting. These are compact, high-capacity 2D symbols suitable for representing all GS1 keys and attributes. Click here to download the full GS1 specifications guide on barcode labels. As can be seen from the above it is critically important that your barcode labels are printed correctly and according to GS1 standards. If you choose a barcode label manufacturer that does not understand these standards or has not had experience in your particular industry standards it could lead to retailers not accepting your product and therefore huge losses for your business. So here are a few questions you can ask barcode label manufacturers to make sure they will do the job of printing your labels correctly. Does your business follow the specifications according to GS1 standards? How many years experience do you have in printing barcode labels according to GS1 standards? Which industries have you printed barcode labels for? A reputable barcode label manufacturer should happily supply you with this information. So make sure you find out all the details before investing heavily in barcode labels that don’t comply with GS1 Standards. It’s important to partner with a label manufacturer that has the experience and expertise needed to produce the best barcode labels. Rebsons Labels has over 60 years’ experience in printing labels and is fully compliant with GS1 standards. Contact Rebsons Labels today for your Barcode label needs. If you’re interested in this article, you may also be interested in our article on Food Packaging Labels as well as Labelling your unique container.